Posted April 9th, 2013 by Lee & filed under Sponsorship. 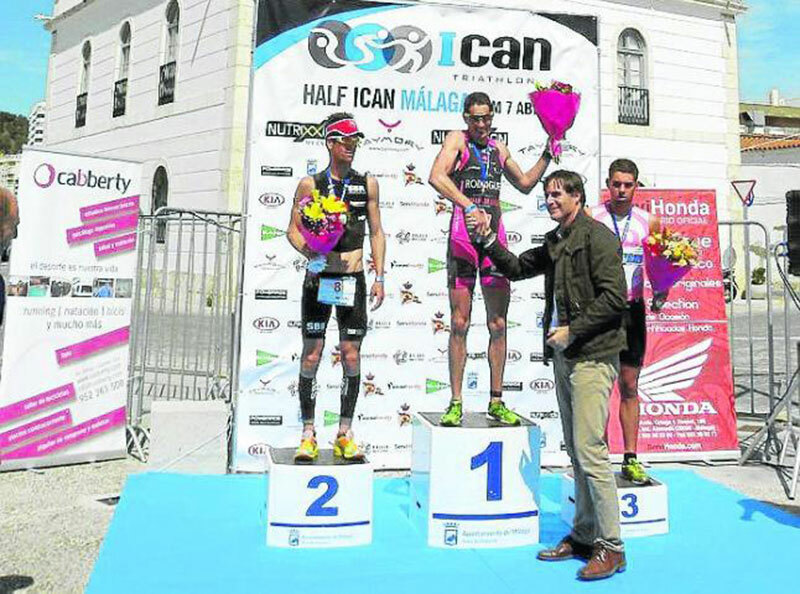 Joe Skipper, who is sponsored by MailBigFile, made the podium at the ICAN Malaga Middle Distance triathlon. This was Joe’s first triathlon of 2013 and he showed good form in all three disciplines finishing in a time of 3 hrs 59 mins and third overall. He completed the 1.2 mile (1.9 km) swim in 27 mins, the 56 mile (90 km) bike ride in 2 hrs 15 mins, and the 13.1 mile (21 km) run in 1 hr 13 mins. Joe, who is in his 2nd year as a professional triathlete, will be competing in a number of Ironman and Half Ironman events around Europe in 2013. This will include Ironman UK and Challenge Barcelona.